The most simple questions that we can ask often turn out to be the biggest. Physicist Enrico Fermi is testament to this with his big ask ‘where is everyone?’ Where is everyone in the vast universe, why do we hear nothing but silence when we scour the night skies, where are all the aliens? When we look up a particularly starry night sky we are only observing a very small proportion of the stars in our galaxy. Which in itself is a very very small proportion of the stars in our observable universe (note. observable universe, and that’s just the part closest surrounding us that we can receive light from!) Let’s throw some numbers into the mix. There are 100-400 billion (yes billion that’s 10^9) stars in our Milky way galaxy. Now astronomers believe that there are roughly 100 billion galaxies in the observable universe. If we take the lower estimate for the number of stars (100 billion) that means for every star out their in our galaxy there is a whole other galaxy full of stars. So together, in the observable universe, that comes to 10^22 stars [100 billion x 100 billion]. Let’s let that number blow our mind for a little bit. Actually scrap that, I can’t even comprehend that number it’s too big, 10^22 doesn’t mean all that much to me, let’s go a little closer to the scales our human mind can chew on. So of these 10^22 stars, astronomers again estimate 5-20% are sunlike, i.e. they are the same size as the star at the center of our universe. If we take the lower estimate 5%, being conservative, that gives 500 billion billion (or 5×10^20) sun-like stars. Next step. How many of these sun like stars are thought to have Earth-like planets orbiting them. Astrophysical studies say 20-50%. Let’s take the lower bound again, 20%. So that gives 100 billion billion earth-like planets! 100 billion billion earth-like planets in the observable universe. Penultimate step. How many of these earth-like planets are though to harbour intelligent life? Re-cap, by earth-like we mean planets that are in the so called ‘habitable’ zone from their host star, not too far as to be too cold, not too close as to be too hot – just right in the goldilocks zone, a position to maintain an atmosphere, maintain liquid water. So let’s be ultra conservative, let’s say a lowly 0.01% development intelligent life – this would mean 10 million billion intelligent civilisations in the observable universe. Little comparison for you, the population of the Earth is 7 billion. For every person on the earth this model predicts, 1.4 million intelligent civilisations. Final step. Divide this number by the number of galaxies in the universe (100 billion). This gives us the number of supposed intelligent civilisations in the our galaxy… answer to the calculation – 100,000 intelligent civilisations in our galaxy alone. Now this calculation may be speculative but it isn’t at all ludicrous – it is based off experimental observations of the stars in our local universe and the types of planets found around these stars by exoplanetary scientists. These statistics are then extrapolated and why should the rest of the universe be any different to our local spec? We see the universe as homogeneous don’t we. So 100,000 intelligent civilisations in our galaxy alone by this reasoning, we listen and we listen and yet nothing. Complete and utter silence – so where is everyone? Extraterrestrial life does not exist – hence why we don’t hear anything. Extraterrestrial life does exist but we don’t hear anything for multiple possible reasons. So here goes – please comment below with which one (and the reason) would place your bets on and let’s make this post interactive! Extraterrestrial life is rare or non-existent. Complex life is considered extremely unusual or even non-existent apart from us. This is also known as the Great Filter hypothesis. This hypothesis states there is a point, a ‘wall’ that exists between simple life and complex life and it is very hard for civilisations to make this transition. This may just be because the transition is a biologically rare occurrence and it requires very finely tuned environmental conditions for it to occur – this is the ‘Rare Earth’ hypothesis. Life likes ours requires an improbable combination of astrophysical and geological events and circumstances (I won’t go into this in more detail as i’m not biologist, please see here for more details). Or the Great Filter may not be a biological transition but a periodically occurring cataclysmic event which wipes out species before they can naturally make the transition from simple life to complex, making life extremely rare. This could be something like the probability of collision with an asteroid or a gamma-ray burst which would incinerate everything in the local vicinity. The booming field of exoplanetary studies, which discovers more and more earth-like planets every year, seems to be continually building statistical weight this line of thought but there it is, possibility one. We are alone in this universe. 2. THERE IS EXTRATERRESTRIAL LIFE BUT WE DON’T HEAR ANYTHING BECAUSE…. This is the view that technological civilisations destroy themselves before (or shortly after) they develop the capability to control radio or spaceflight technology. This is due to the assumption that they have also developed other forms of harmful technology and the destruction comes in the form of things such as world wars, accidental environmental contamination (nuclear bombs), Artificial Intelligent mishaps (think i,Robot). Quick rebuttal though – why don’t we hear signals from the super predator of other civilisations and their desperate pleas for help before they die? Can the super predator really be so stealthy in their universal massacres? Industrial evolution that occurs on planets by the time sufficient technology advancement occurs may lead to a sustainability crisis on the planet, as we can all foresee in our future be it fossil fuels, food, clean air… This is a rather plausible scenario though perhaps there is the hope that other species may not be as greedy as us. Industrial evolutions are in large part driven by capitalism and is this trait a species-general trait or that of human beings? Perhaps the civilisations are simply too far apart for meaningful two-way communication, the universe is enormous after all, maybe we are just tucked away in a tiny isolated corner. Perhaps civilisations become extinct before meaningful dialogues can be established. Perhaps we are receiving broadcasts but to us they are meaningless as without being able to establish two way communication we cannot ask further questions in order to de-code their messages properly (like receiving a code without a cypher). Or perhaps their signals simply have not arrived yet due the distance they have to travel. Remember the fastest a signal can travel is the speed of light and it takes a year for light to travel the distance of a light year (sorry if i’m being obvious). The point is, our nearest star, Alpha Centauri is 4 light years away, so a signal would take 4 years to reach us at quickest. But what is the probability in this vast universe, intelligent life lives on the next star over. The closest galaxy, Andromeda, is 2.5 million light years away, so civilisations within our galaxy could be hundreds of thousands of light years away. Now how long have humans been around – 200,000 earth years, let alone those with technology to manipulate electromagnetic signals… 100 years. Now this sounds like a plausible one right? But there’s a caveat. This assumes that humanity’s advancement occurred the transition in time when the Milky way galaxy went from being empty (with no other civilisations) to a state where civilisations have already sent signals on their way but had not arrived (as otherwise there would already by signals already around us by the time we had developed the technology to listen). Instead they have to still be on their way. Humanity has been been around for a very small blip of time, relative to the age of the universe and this transition is also quite a small epoch so the likelihood they have coincided is rather small. Either our probes are not advanced enough as the signals extraterrestrial use may have evolved beyond broadcasting in the electromagnetic spectrum, which is what we search for in programs like SETI, instead they may be communicating through technologies not yet developed by us, for example neutrino signals. Or perhaps we are unable to probe far or wide enough to be able to search effectively for signals being sent. We would need to be listening in the appropriate range of frequencies and be looking in the region of space in which the beam is being sent. Perhaps we’re just off with our detection, like in a very unlucky game of battleships. Or maybe we simply cannot comprehend. Perhaps we simply to primitive to perceive their presence. 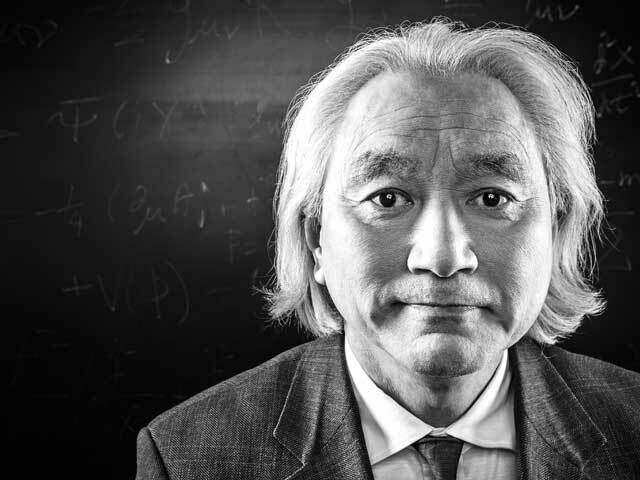 Famous physicist Michio Kaku (this guy) has this to say on the matter. “Let’s say we have an anthill in the middle of the forest. And right next to the anthill, they’re building a ten-lane super-highway. And the question is “Would the ants be able to understand what a ten-lane super-highway is? Would the ants be able to understand the technology and the intentions of the beings building the highway next to them?” Perhaps we are the ants. Perhaps it would be like trying to get an ant to understand how to use an iPad. Like a universal scale of The Truman Show, we are being observed, watched, analysed. This is known as the ‘Zoo Hypothesis’. Extraterrestrial beings are observing us, and allowing us to evolve naturally and uninterrupted either as part of their peaceful nature or an experimental study. This argument breaks down a little under the idea that if there are a large number of extraterrestrial civilisations all it would take is one to break the rules and make themselves known. The probability increases with the number of civilisations, one naughty schoolchild in the class who lets a tadpole escape the tank. This is the idea that if a civilisation is advanced enough to master interstellar travel they are likely to be advanced enough to be here on Earth and conceal themselves successfully. Or perhaps they are just unacknowledged, there have been many claimed UFO sightings over the years, just go ahead and google UFO (at your own risk of getting fixated and then suddenly realising 5 hours have passed). Finally there’s the good old government conspiracy theory that governments are suppressing publications of alien evidence for their own security of economic interests. Now I love a good government conspiracy theory as much as the next person but I have an inkling that the reason transcends the personal interests of the human race. They have mastered artificial intelligence and technology to the point that they no longer live in their previous physical form, or the physical reality as we know it. They have uploaded their minds into a virtual environment and live, immortally, in ‘the matrix’. So the idea of the physical reality and sending physical signals that we can detect is well… rather beneath them. Finally perhaps they aren’t trying to communicate with us because we simply aren’t that important to them. They don’t bother sending out signals in our direction because they have nothing to gain from establishing contact with us and they need not any of the resources on our tiny blue planet. Perhaps we think too highly of ourselves. So either we are alone in the universe or we aren’t. Are we rare, special, naive, stupid, isolated… who knows. What we do know is that we don’t know much about our place in the universe at all, but we should keeping asking those all important big questions so we can get closer to finding out. As I said please comment below which theory you would place your bets on (of course if you have a different reason i’d be eager to hear it). I’ll reveal mine after i’ve heard back from a few of you! ← What happens behind my back? I think that most of the reasons are plausible! If there are/have been any other life forms out in the universe, I think it’s most likely that they occurred at a different time or perhaps they evolved/created communication technology in such a way that’s so different to how we have evolved and the technology humans have created, that it may just be impossible for us to communicate. Maybe one day we will actually find out if there is anyone out there, who knows? Really interesting post! I find it peculiar that somehow the existence of life gives a reason for the universe as if, somehow, the reason for the discovery of fire was to warm our houses in wintertime. Fire, and the universe with all its dynamics simply is and reason plays no part in its existence. According to astronomical observation there are a lot of organic chemicals floating around so I suspect life might be quite common. Ursula LeGuin in her stories about interstellar cultures frequently mentions an “ansible” which permits instantaneous conversations between cultures and I used to write that off as nonsense but some of the current experiments with entangled particles indicate some possibilities. Of course, “instantaneous” gets knocked about a bit by Einstein so I may be just too dumb to get the connotations. Nevertheless. signals other than electromagnet may be the problem. Considering the huge stupidity of our current political leaders involving global warming and eagerness to start nuclear conflicts the automatic suicide of civilizations that reach our stage of development looks like a real possibility. It has been indicated by recent reports that Venus which is a current hell of temperature and corrosive chemicals was once quite welcoming to life with water and other favorable factors, Perhaps if we can fabricate a Venus lander that would last more than a few minutes on the surface we could discover indications of a civilization that, like us, pretty much ignored the danger of a CO2 buildup and destroyed their planet, much as we are doing today to ours. Thanks Jiisand – may well be, depressing as the second is! Before species can advance to an interplanetary level all they have to work with is the resources on their host rock and there are many selfish actions as you mention (with humans being as the example at least) that can get in the way of using these resources efficiently – leading inevitably to our own destruction and ceasing advancement. Love this post ~ and a great summary of these theories and ideas. Again, so well written. For me, I am more of the idea that other intelligent life in the universe has evolved beyond where we are, perhaps able to flow between different dimensions. As such we simply are not technically advanced enough to notice their communication/noise to understand they are out there. Add to this, the idea of a big filter which has always made me wonder…and question if we will ever reach our ‘potential’. Wishing you a great week ahead. Thank you very much indeed! Yes the ant and the highway metaphor resounds quite strongly with me on this point of view, as smart as we think we are we may well just be completely oblivious to the workings of what else is out there. Which big filter type do you prefer by the way? The biological filter or the idea of periodic extinction events? Have a great week too! Periodic extinction ~ statistically speaking, we are so far lucky to be where we are today 🙂 It is funny, when I think of all we do not know, there is a certain calmness that comes over me, a bit of excitement of all the surprises nature has in store for us that leaves me relaxed ~ Cheers! A really informative article – a new theory for me to look up! Thank you for this, well written. And, shared! I do not think that an advanced civilisation would only transmit its presence using e.g. neutrinos. If we ever developed such a technology, I doubt that we would assume all other civilisations also had that technology; we would continue to announce our presence with EM radiation. Excellent points, thanks very much RhEvans and for the share. I definitely need to get myself a copy of Contact and have some more of Carl Sagan in my life. Yes you raise a very good point at the end there as well, if a civilisation wanted to achieve contact you would think that they would use the least advanced form of signalling to maximise probability of communication which does, logically weaken that point significantly. Well, they may use all the methods which they have developed. Have you seen the movie “Contact”? I would recommend the book, but watch the movie first and then the book will impress you even more, as it is more complex than the movie could be. How coincidental! Ok I need to get a copy of this and I have Contact up next on my film watch list – thank you Rhodri! A great article, you pretty much summed up every theory out there. It’s hard to choose one from all this, but I think it is highly plausible that we are being watched and/or they are already here but that information is being hidden (I’m a sucker for conspiracy theories). The argument you gave about how if one of them slips, their cover is blown will only be valid if we are under observation from many different civilizations. Considering that the chance of having many intelligent forms (given all the things that need to come together for that to happen) is low, I doubt we are under observation by more than 4-5 life forms. This one really is an interesting view – i’m glad someone chose it! Conspiracy theories really are very enticing. True true, though I wonder why it is that the 4-5 life forms (if that were the case) chose us to be the observation target and mutually keep the secret. What would they all have in common that we don’t and subsequently makes us worth observing? They could be more evolved and/or more “experienced” in the universe. If they really are keeping us under observation, then they probably want to see if we are worthy of a collaboration with them. Whether we can appreciate the technology and knowledge they have or whether we will want to steal/use it for our own petty rivalries. I read a story once (fiction) about how a spaceship comes visiting the ISS. The spaceship had people who’s ancestors had left Earth many thousand years ago, and these people were here to see how humans are doing. They had advanced greatly; in fact, during graduation, every student is expected to invent something completely new. This person on the spaceship had invented a mind-reading device. When the astronauts of the ISS got to know about such a civilization, they immediately began to dream about how they could use this for their country’s benefit and against other countries. The alien, read their minds, felt sad and went back, never to return. Balanced and considered an all round look at a hard nut . I think we can assume intelligent life will evolve by natural selection and that takes about four billion years. Our examination of evolution by the experts seems to suggest many filters and stumbling blocks , for example Richard Dawkins thinks the demise of the dinosaurs was essential for mammals to appear. Mr Dawkins does some mathematical calculations in The Blind Watchmaker and concludes intelligent life is unlikely in our galaxy. He agrees with professor Brian Cox who comes to that conclusion in his excellent TV series Are We Alone? Across vast intergalactic space contact is very unlikely. Purpose is a purely human concept as Mr Dawkins neatly points out natural selection has no purpose , no end in view . So intelligence may well be a rare coincidence certainly not an historical aim of any sort. Brian Cox probably took his calculation from somebody like Dawkins, given that he’s not an evolutionary biologist. Thanks kertsen, yes I think I need to read up about the Rare Earth biological arguments/Dawkin’s arguments for why our conditions are so unique that complex life may be only have developed here. The statistical argument for the number of planets, stars, galaxies may be giving me a biased view given I don’t know enough about the statistically unlikeliness of complex life development and the multitude of factors that are needed to be so finely tuned to allow it. Asking the question proves the point… maybe. I still think the same: that it is more likely that we are too far away and undeveloped in the vast universe you describe; still hardly having visited anywhere, even in our galaxy, and only been in space the last few decades, and still being surprised by planets and moons in our solar system. Another analogy I just thought up is that I think we are like a reclusive TV addict opening the door to the outside world for the first time and expecting to see everything they’ve seen on television on their doorstep! I got it from here: http://dailygrail.com/features/michio-kaku-impossible-science – yes it seems your ant analogy is very similar, great minds think alike! I very much agree, ‘our place at the moment is somewhere between ants and the unknown – offering plenty of terrain left to explore.’ Thanks a lot for your comment! Thanks Mekhi. It’s an interesting article, and good questions and answers. 2008, so a couple of years before mine was published, although I’d been talking about it since 1998… my thoughts probably hadn’t reached Michio Kaku though! I’d seen Kaku on television, as cited in my article, but haven’t read any of his books. He’s a great physicist, while I was just trying to understand our place in space and time, extending my Humanities and Social Sciences specialties. “So let’s be ultra conservative, let’s say a lowly 0.01% development intelligent life.” Some suggest that may be 10 or 20 orders of magnitude too liberal, which has rather lonely consequences. Yes you’re very right at the end of the day this is all speculative we are trying to create a statistical argument with only one observation… though I guess in these kind of realms at best all we can do is speculate. Even if we are way off in our reasoning at least we’re still tuning our thoughts towards an important question whose answer (and I don’t normally say this) intuitively feels like we can’t be alone in this vast expanse. Thank you very much. Wow just seen the title – not sure my astrophysics is up to scratch to comprehend that but i’ll give it a go. I don’t buy number 1: they just aren’t out there. The sheer numbers of planetary systems out there versus the improbability of life developing evens out the astronomical odds, as far as I’m concerned. Plus, speaking as a biologist, I don’t think the possibility of evolving life is actually that improbable, and the galaxy is awash in the necessary chemicals to allow that to happen; complex life would be rarer, but still. I’d personally go with the space/time problem. Humans evolved at most 200,000 years ago, and have had a society that can be considered technologically advanced (up to a point) for only a few hundred years. Taken the age of the universe, the chances of another species evolving at more or less the same time as us, and reaching some sort of technological parity with us, is much more remote. The chances of them being near enough to us to be detectable even more so. Consider that we search for radio waves emitted from other civilisations – but already we ourselves are heading towards a point where we will not emit radiowaves into space; it’s been superceded. Then there is the distance factor; currently we know of no way of exceeding the speed of light; unless there is a way, the vast distances between stars is a big obstacle, particularly if we’re talking about lifeforms that have comparable lifespans to ours. The thing that really bugs me about the Fermi paradox though is that people so seldom turn it on its head. We already have an example of an intelligent species. It’s us. So turn the question around: if we are an intelligent, technological species, why aren’t we out there in space? Why haven’t we gone and introduced ourselves to other intelligent aliens? Why haven’t we (so far as we know) been detected? When asked that, people will immediately answer with a host of valid reasons: we are nowhere near technologically advanced enough to venture outside our own solar system; we don’t know how to get around the lightspeed barrier; going anywhere would take many human lifetimes even if we could do it; we haven’t even got a unified world government that could undertake such an ambitious project; for goodness sake, we call ourselves “advanced” but we’re constantly warring and in large parts of the globe half the species is treated as little more than cattle because of its gender; we can’t even feed our entire population. So why can’t all these potential reasons and many more apply to another species? Why are we expecting them to call us when we don’t expect ourselves to call them?! Fantastic comment thank you very much. I thoroughly agree with your first point, to me it seems like this may well be the most probable. As for the second point I think we call ourselves ‘advanced’ but it all depends on the scale created. We have not mastered interplanetary travel let alone interstellar travel so on these terms we are not at all advanced enough to be able to complete the task of being the ones going out there in search. Given the age of the sun & Earth, which is relatively young, compared to other systems, statistically speaking again (which may be flawed) there should be other civilisations in older systems which have had many more years to develop these capabilities. But you’re very right all these flaws of human society may well have applied to other civilisations which could have hindered their progress even if they had more years to work with – which links back to the ‘it is the nature of intelligent life to destroy itself’ and ‘resource depletion’ ideas! Richard Dawkins says he had some mathematical help , I found parts of the book difficult but it is fascinating and a bold attempt to account for angiogenesis. It is very difficult to see just how life started on primitive earth. The double helix of DNA is a complex molecule and needed before natural selection can start. I do not understand the science of chance which plays an important part in all these debates. When chances get impossibly small such as a million monkeys typing the works of Shakespeare is all this real or surmise? Yes I think to give more weight to argument type 1, which i’ve done an injustice to (as evident by it’s length) I would need to learn more about the complex processes involved in the creation of life. Indeed when chance enters such realms the concept really does start to mess with the mind. Empirically, if there is evidence that life exists under certain conditions on earth, then statistically this would be possible elsewhere. Radio signals have only been emitted by humanity in less than two hundred years, which is a small fraction of time in the history of life on Earth, let alone the entire Universe. Humans think they are smart, but if we consider the events of the recent US Presidential election, this is rather debatable. There are probably many ways to communicate information, and an advanced civilization might be using something other than radio signals. There is also the possibility that processes in the Universe can block, eliminate or alter a radio signal so that if a planet was using it to communicate, Earth would be unaware of them. A minuscule small fraction indeed. (Also very glad someone bought up the insanity of the US election!) What processes do you have in mind when you mention ‘block, eliminate or alter’? Thank you for your contributions! Radio waves are energy so something like a black hole could stop them. Awesome post! I don’t think I’m smart enough to find it puzzling that we haven’t made contact, yet. We only learned to fly a little more than a century ago. If we are advanced, few have the capability. If we are rudimentary, maybe few have interest. Love the topic!! I like that last line summary a lot! Though it seems peculiar few would have interest, perhaps we are just a curious species. Thanks a lot for your support. because as the article says, there are thought to be billions of stars and galaxies in our universe, and probably many universes, maybe billions. We’ve only been in space a few decades of the 13.7 billion that our universe is thought to have existed, and have barely left our planet. We are still shocked by our first experiences – nearly all only passing images and robot landings – of planets and moons in our solar system – another analogy I’ve just thought of, without knowing how original it is, is that it’s like we’ve ventured into the sea for the first time, looked under the waves with our new invention – goggles – and expect to know everything about all the oceans on Earth from our first experiences. It’s frustrating that the more we learn, the more we know how limited our knowledge and place in whole of existence is. However, it is to humanity’s credit that we have reached as far into space as we have, and that we, through science, are willing to make that journey, physically and mentally. I could almost buy the ‘too far apart in space and time’ theory and maybe even the ‘super predator’ idea. But perhaps our definitions are too narrow: what exactly are ‘life’ and ‘intelligence’? Again, I can’t get enough of your blog guys! But reading this post makes me perplexed. How can we know that any option is right, whether there are aliens out there or not if, we don’t hear anything? So I honestly don’t know what to think even though I do believe there must be some kind of life out there! There is another cause. We are the first. The universe isnt that old, and evolving into space faring civilization takes time. I have a hunch that we wiped ourselves out at least once (think something like Atlantis). This could be doubly true for aliens. We have it good, but then again, we evolved to what we have on Earth. Still, in basically 50k years we are in space. Barely but inching closer. It may take a million years for other species to reach this level. In fact, I’m willing to bet on it. So we don’t hear anything because we’re the first. We could have already caused genocides over “The aliens are coming, sending their brain washing radio waves” panics on alien worlds. Others might hear, but they may not know how to reply, or what. We sometimes picture ourselves as the puny race on the puny planet, but what if we are that SUPER PREDATOR? Great post. I tend to think we’re alone, just think we would have seen something if we weren’t. Love this site. Great summary of all the possibilities, explained beautifully and all so compelling! Thank you. I don’t know what to think – they all seem plausible.